This is how big my smile was after reading a certain e-mail… I got to know that you guys have voted me to the top ten in the Aussie Awards Readers’ Choice voting!! How amazing is that, all I can say is thank you! If you haven’t voted yet and feel like doing it, check the side of my blog –>. The voting is still going on for a couple of days, and the awards are held next weekend! I’m so excited to meet all the bloggers, but I’m sensing a little what-to-wear crisis coming up. Maybe I’ll come up with a few choices and ask your opinion! great look and outfit ! Kisses R.
Lovely distressed jeans!!! You look great on them. Today I bring you a Comfy Chic outfit with a Rock touch….and lovely and fine new jewelry! Are these shoes – Princess Reebok ? No I don’t think so.. I can’t remember the model anymore, but they are quite new so should be in Reebok online store I think! What is the name/model of these shoes ? It’s unreal how beautiful you are! I love when you’re smiling. <3 you look gorgeous, even in a casual outfit. And Marianna, congratulations for the top ten news. You deserve every single vote you get. I will continue voting for you, I want you to win. Apuaaa oot oikeesti niin suloinen neito!! ja nuo kengät ovat aivan ihanat! 🙂 Hyvää viikonloppua sinulle! Jeans and Reebok shoes looks both amazing ! I love this outfit! Sneakers and jeans are perfect! Well you deserve it all Marianna! You seem like such a lovely girl and your blog is just amazing. I wish I would have a blog like yours! I don’t have a fashion blog though. Mine is more like lifestyle photography..
Btw, these sneakers are amazing! Hope you will win Marianna! I keep one’s fingers crossed for you! Congratulations! Your blog is great! And I’m loving that outfit. I’m so happy for you Marianna! 😀 (I’m smiling with you). I love this casual outfit, you look beautiful! I adore your blog, best blog ever! Congratulations Marianna! You can always count on your readers whether you feel happy or not so much! So glad to see that you are inspired and glowing again. Just remember, that you are the best! Congrat! Hope you’ll win your blog is amazing! I always love coming to your blog. Its so pretty and refreshing, exactly what I need after seeing so much gray lately. Thank you Grace, blogs are a great place to escape sometimes, I do that too haha! 🙂 I hope you’ll enjoy blogging, good start! Love the jeans! You look great! Too sweet, thank you Ania <3 Comments like that keep my inspiration alive! Haha now that I think I might have used a different shade of eyeshadow or something… 😀 Which reminds me I need to do a new makeup post asap! Take care and keep continue with this amazing blog you have!!!!! Looks like I have them in size 26/30. 🙂 Thank you Veronika! So amazing! I am happy for you, hope you coma out the winner! Congrats on your top 10 spot!! You are doing so great on your blog lately, I love the more frequent posts and I love the variation. Excellent job Marianna! Wow! I think you are one of the most beautiful girls in the world!! Congrats!! We totally adore you because you’re so so sweet and it comes across in your writing (also, you have great style :P). Congrats! Btw, I absolutely love the outfit! Pertty simple but so stylish! Onko nuo housut tämän nimiset Kristen zip jeans? Tykkään sun farkuista, ne on ihan täydelliset! I’m so happy if you felt that way, and I know exactly what you mean. 🙂 Thank you Vivi! Givency bag is perfect! Congratulations! Congratulations! You look really happy! Great style! Love this casual look on you, you’re very pretty! Anyway, I’m going to NY soon so I was wondering where to get the best cheesecake. You seem so passionate about them hahah, can you tell me which one was the best in your opinion? Minkä kokoiset nuo housut on? Voiko se polven kohdalta tavallaan ratketa kokonaan se “revitty” kohta? Love the bag you wear! Amazing outfit! 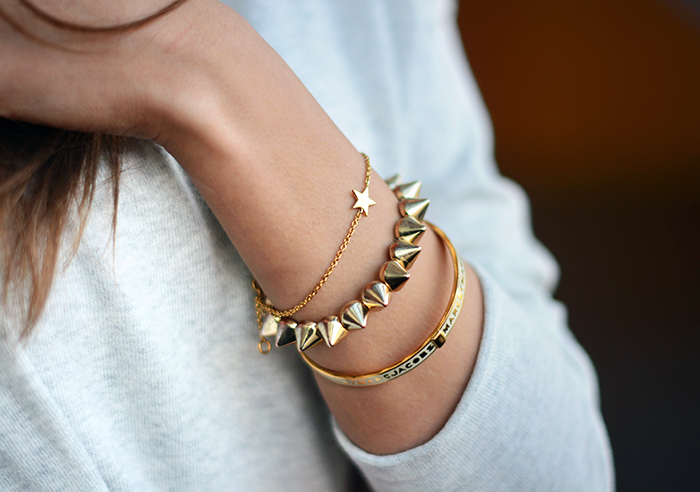 <3 I love every detail, your style is always best! Perfect casual look, as always! Hello all the way from Australia! I’ve been trying to vote for you but I don’t think I can when entering all my Australian details. It asks to enter my address and then says “not acceptable”. I’ve tried translating but I’m so lost, haha! By the way I love your style! I personally find it a cross between, simple, classy, comfortable and everyday wearing. All these things I’d tick of my fashion list. Thank you Emma! Oh too bad, I hope that’s not a common problem! 😮 Don’t know what could be wrong there… But thank you so so much, means a lot to me. <3 You're too kind! How lovely is that, thank you so much!! 🙂 Blogging is addicting! You look amazing! I love this simplcity and gordeous taste in the outfit! It is so light! I really like your style. It’s simple but elegant. And i want to say that this sneakers are great! I hope you win the award. Kisses! 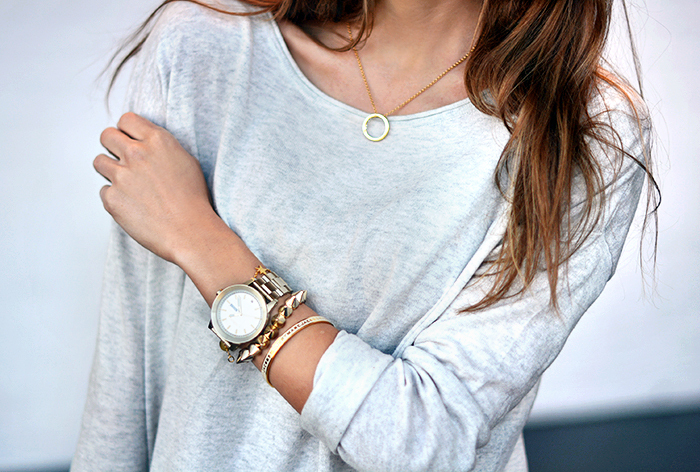 Lovely casual and chic outfit! You look so pretty as always! Much love, and have a nice week! I LOVE this sweater- can you tell me where I might be able to find it? I have 2 sisters (foreign exchange students) that live there in Helsinki and would love to have one of them pick up for me if it is a local item.